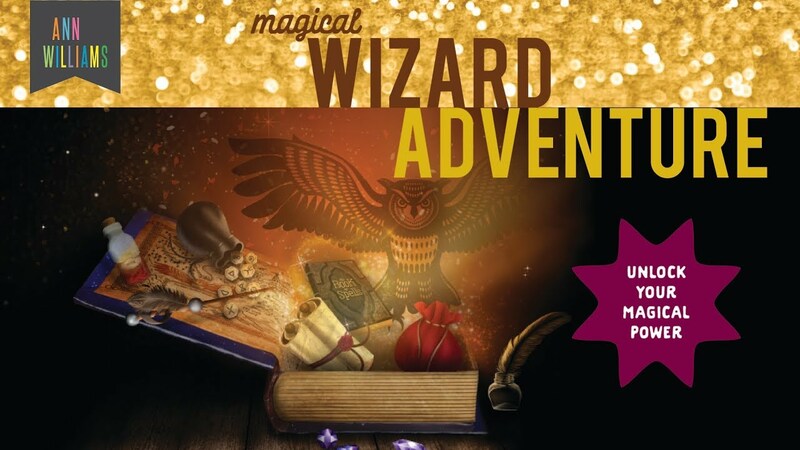 Ann Williams's new magical adventures are an immersive experience where kids are guided on a journey filled with fun activities, clues, and surprises. While the real fun lies in the journey, the outcome is truly magical: memories they will treasure forever. • lifelong memories for both kids and grownups! What is an Adventure Box? An Adventure Box is a gateway to an amazing journey for you and your child! Each box contains a 7-step sequence of “magical” projects and activities that puts your child at the center of an immersive story experience. What is inside the Adventure Boxes? In short, EVERYTHING needed to begin the adventure. 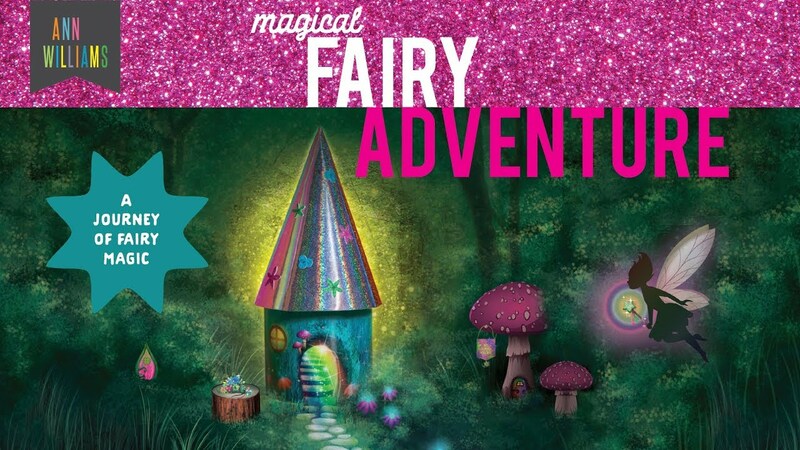 There is a magic book or a fairy house for your child to interact with. And each box also includes a GROWNUPS ONLY package that contains instructions and pre-packaged materials labeled sequentially. Are all materials to complete the adventure included? All materials necessary to complete the projects are included. Some activities ask your child to use some common items that can be found around the house or outdoors. How long does an adventure take? The timing and pace of the adventure is up to you! Each step can take between 7 – 15 minutes to complete, depending on the child’s age and experience. Can I pause the adventure? Yes. Adventures can be stopped and picked up where you left off at any time. Are all adventures the same? No, that might ruin the fun! Each adventure has unique projects and activities designed around its story. You can reach us anytime at info@annwilliamsgroup.com or call us at 248-977-5831. We’re glad to help! How can I stay up to date on the latest Adventure Boxes? Sign up for our newsletter and get advance notices of new products and exclusive discounts! 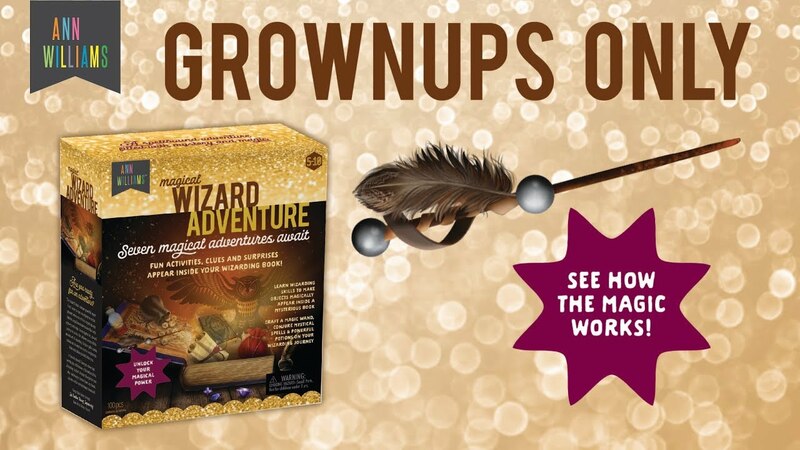 Magical Wizard and Magical Fairy Adventure Boxes are for ages 5 and up. Can multiple children participate in the adventure? Adventure Boxes are designed with one child in mind. Does my child have to believe in magic? No. Adventure Boxes have fun stories that anyone can enjoy but they are more fun when you can pretend to believe in magic. My child no longer believes in magic, will they still enjoy this? Yes, but just like a book or movie it is more fun if you both suspend your disbelief during the adventure. Help, I can't find the instructions! Magical Fairy adventure instructions can be found here. Magical Wizard adventure instructions can be found here. Should I show my child the box the adventure comes in? 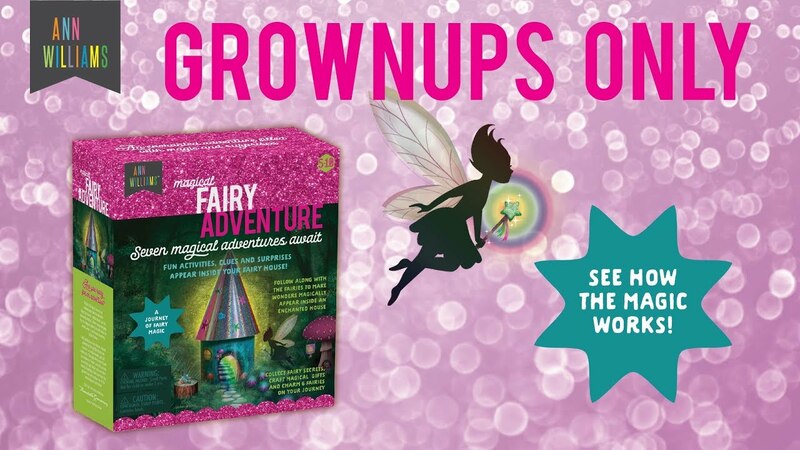 Adventure Boxes make great gifts and some grownups like their child to unwrap the box. Others decide to add to the fun and surprise by placing the magic book or fairy house where their child can happen upon them—as if placed there by magic! It’s up to you! Should my child know about the adventure in advance? It is up to you, but personally we love surprises! How do grownups help make the magic? Grownups secretly place the contents of numbered packages into their child’s “magic” book or fairy house so that it seems like they were delivered by a wizard or fairy. Should grownups take the stuff out of the numbered bags before putting it into the magic book/house? Yes. This is to make it appear more magical. Wizards and fairies don’t number their bags! My child is stuck on a project or activity, should I give them a hint? Yes, feel free to help when they really need it. But the greatest reward comes when they figure it out for themselves. My child and I are both stuck on a project or activity, what should we do? Don’t give up! You can reach us at info@annwilliamsgroup.com or call us at 248-977-5831. How can I keep the magic going after it ends? - Ring the fairy bells without them noticing so they believe fairies are still visiting. - Ask your young wizard to perform a spell to bring you luck during your day. - On walks, ask your child about what kind of magic or fairy might be in the area and let them teach you. - Place tiny notes from fairies in their fairy house. - Leave secret messages from wizards in their magic book using the rune alphabet from the adventure.